Discover more about private investigators capability, employment and regulations in Gettysburg. ICS of Pennsylvania provides superior private investigations throughout the city of Gettysburg. ICS works with licensed private investigators in Gettysburg, Pennsylvania to work your case quickly and discreetly. ICS is a full service private investigation agency working locally and internationally, and we accept a variety of case types. To begin your free consultation with a private investigator from ICS, complete the online free consultation form, or call our toll free number (888) 223-6494. If you’re looking to hire a private investigator in Pennsylvania, contact ICS of Pennsylvania to discuss your case and our private investigator fees with a free consultation. Please feel free to call ICS of Pennsylvania at (888) 223-6494 or visit our free consultation page today to begin your case. In Gettysburg, it is illegal to act as a private investigator without a private investigator license granted by an Adams County Judge. In order to obtain their license, private investigators must pass Pennsylvania’s rigorous licensing requirements, including an in-depth background check and fingerprinting. Licensing requirements vary from state to state, and Pennsylvania is a little different than most others. There is no written exam required, but usually applicants must have 3 years full time, paid experience as an investigator. Acceptable forms of experience include: Detective on the police force, a Sheriff, a Police Officer with ranking higher than Patrolman, or have held a position with one of the United States investigative agencies. No private investigator in Gettysburg, Pennsylvania receives their license without making an appointment with the Clerk of Courts and being interviewed by a judge and a District Attorney. Licenses are only issued to applicants who have completed all paperwork and have been deemed competent by both the judge and the District Attorney. The licensing requirements in Pennsylvania are strict, and all ICS private investigators are held to even stricter standards as a part of our mission to provide excellent service above and beyond minimum state requirements. Our investigators at ICS are fully licensed, insured, and up to date on all continuing education requirements. ICS Pennsylvania private investigators meet or exceed all industry standards, providing you with effective and discreet investigative services. When you speak to an investigator at ICS of Pennsylvania, you are not just choosing a local private investigation agency; you are really accessing the entire ICS network. You can feel confident choosing ICS as your private investigator knowing that he has met ICS’s rigorous standards. If you are in Gettysburg but need a private investigation somewhere else in the country or the world, ICS of Pennsylvania will put the ICS network to work for you and will keep your case affordable, efficient and effective. ICS of Pennsylvania services all of Pennsylvania, including the following areas: Philadelphia, Gettysburg, Erie, Hershey, Gettysburg, Lancaster, King of Prussia, Norristown, Willow Grove, Wilkesbarre, Harrisburg, Allentown and more. Gettysburg is a unique historical area, which effects the population and types of private investigations that go on. At ICS of Pennsylvania, we understand the external forces that influence your case and set it apart from cases anywhere else. 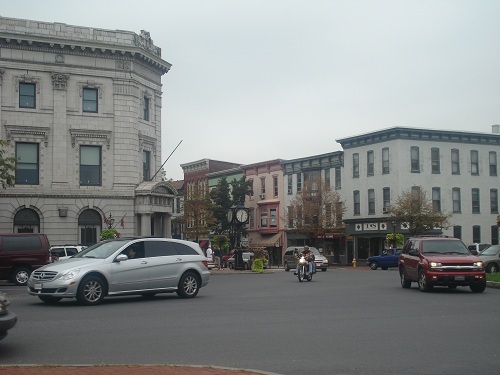 Some fun facts about Gettysburg are: Gettysburg is a borough of Adams County, Pennsylvania, and has a population of 7,620 as of the 2010 census. 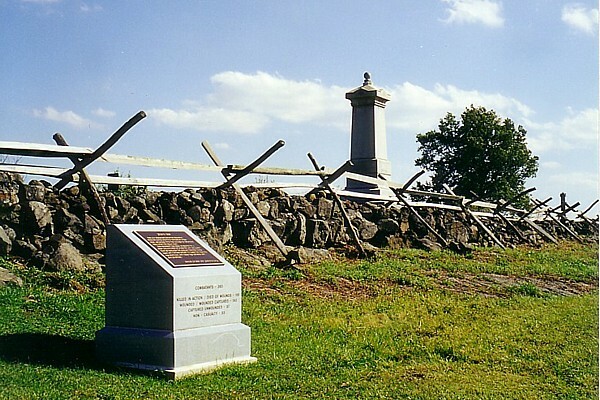 In spite of the town’s small population, Gettysburg is one of the most well known sites in America because it is home to Gettysburg Battlefield, where the Battle of Gettysburg took place. Every year Gettysburg hosts a re-enactment of the Battle of Gettysburg around the 4th of July, which lasts for 3 days. Gettysburg is centrally located between Washington DC, Baltimore, and Harrisburg, the Pennsylvania capitol. Its central location also lends the to notoriety of the quaint town of Gettyburg. ICS of Pennsylvania accepts most case types, and can serve you no matter where you live in Pennsylvania. If you suspect you have a cheating husband or wife, or you worry that your partner may be having an affair, ICS of Pennsylvania can help you get the answers you need with an Adultery, Infidelity or Cheating Spouse private investigation. Child custody, visitation, and support cases can be aided by a private investigation, which can provide the proof you need in order to present your case in front of a judge. ICS of Pennsylvania can help you locate a missing or lost person in Pennsylvania or elsewhere, even in cases where the police were unable to solve the case. People who may want to know a little more about a lover, friend, or business partner often seek out background checks because they are a valuable and affordable tool for gathering information and making decisions. ICS of Pennsylvania is a full service private investigation agency, so call to begin your free investigation today. For surveillance or counterintelligence services, ICS employs state of the art equipment and techniques to keep you safe and bug free. ICS can perform computer and cellular forensics to retrieve data or to confirm and remove spyware or other malicious software. Technical Surveillance Countermeasures (TSCM) can be taken by ICS to ensure that the technology you depend on every day is not leaking information about you, your business, or your personal life. TSCM involves sweeping for and removing bugs, and other forms of electronic surveillance. ICS also performs pre-employment screening, which help eliminate the constant worry about the criminal or legal history of potential employees that most employers feel during the interview and hiring process.